IntelliJ 15 Update - Android Studio is built on the world class Intellij coding platform. 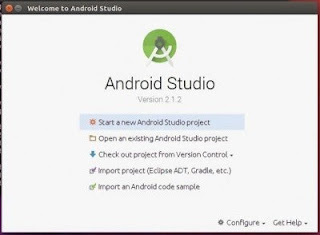 Since Android Studio 2.1.2 is not yet available on any PPA repository, we will go ahead and install it via the source file. Before we do that, we need to first install Oracle Java JDK/JRE 7 which is required for Android Studio to run.